You are here: Home » Blog » The Unusual is Usual to Us! It’s not always so straight forward at the beginning. 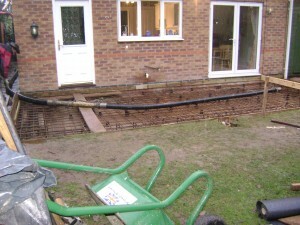 But we’re experienced in many various methods of construction and we not only offered free advice regarding the possibilities but brought in a structural engineer to design a bespoke raft foundation which enabled the project to go ahead and at very little extra cost. Try us and you’ll be surprised.